I’m all about practical gifts, so the annual Easter “basket” has always irked me a bit. You can only have so many baskets before you go crazy! 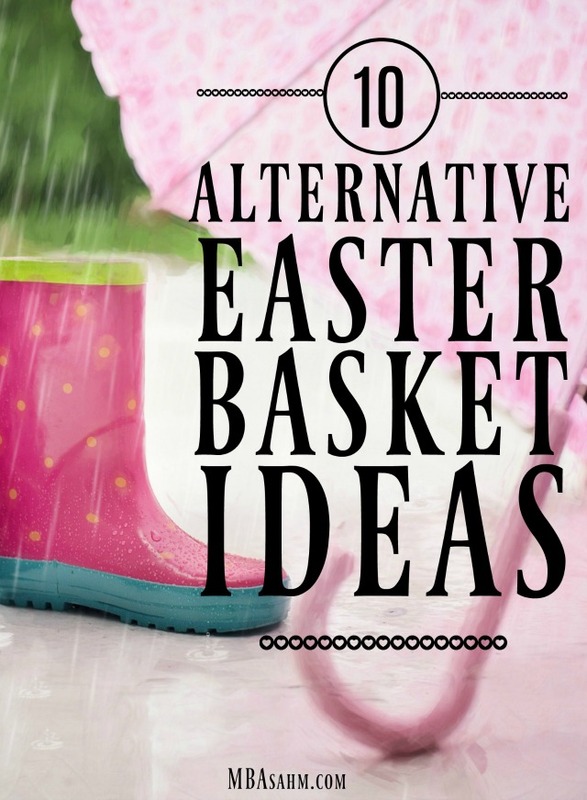 So alternative Easter baskets ideas have always excited me and I intend to take advantage of them each and every year. 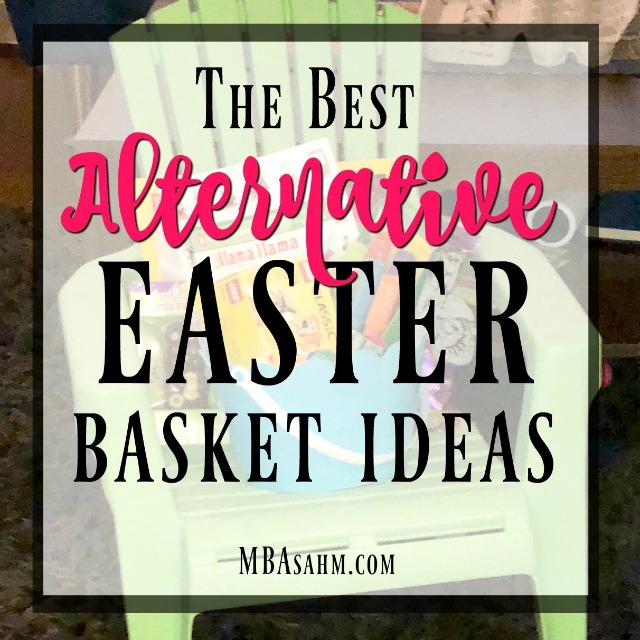 So if you’ve reached your basket limit and are looking for a different kind of Easter basket idea, this is the list for you! 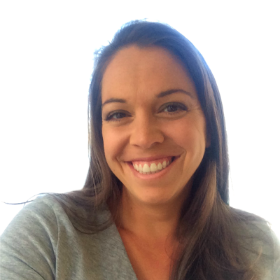 If you’d like more inspiration on parenting and raising happy kids, subscribe to my Parenting Mailing List for notification when new posts are published. Thanks for your time! This is what I did last year and the kids LOVED it. We actually needed kid-sized Adirondack chairs outside anyways, so I was able to kill two birds with one stone. You can get them in a ton of different colors and they’re surprisingly pretty inexpensive for what you’d think a chair would cost (most are between $10-$15). And of course, they look adorable! But most importantly, the kids will love them. If you’ve got a little boy, my bet is you’ve got A LOT of Legos. So why not surprise them with a gigantic lego…that is actually a storage bin for other Legos! Talk about a practical Easter basket idea that will make everyone happy. This is another Easter basket alternative that we’ve done in our house and it was wildly successful! Any boy that loves Legos will love this idea! If you’ve got a little baby on your hands, then a diaper caddy is the perfect practical Easter basket alternative! I’m telling you, these things are amazing. We’ve got 4 of them in our house and while they all started as diaper caddies, as the kids grow, the uses for them change. Some store bows and barrettes, some store socks, and some even hold toys. Basically, you’ll love these forever! I’m sure by now you’ve realized that toy boxes come in all shapes and sizes and you can never have too many! So why not use this as an opportunity to get a really adorable toy box that will get your child excited…and you at the same time. If you really want to win this Easter, you can also head to Etsy for seriously adorable personalized toy boxes. They have some amazing designs that will be useful for years…if not forever. With Easter comes spring showers! Little kids love anything that makes them feel like an adult, so a child-sized umbrella is something for them to get seriously excited about. Just open the umbrella, turn it upside down, and voila! You’ve got yourself another practical Easter basket alternative! For little boys, a big dump truck is the perfect alternative Easter basket! They’re good for inside, outside, and even the beach, so these toys are versatile. There are tons of great classic trucks that you can use, but you can also consider Ton-Ton if your little boy loves Dinotrux! This is an easy win for toddler and preschool boys. Paired with an umbrella, or just alone, rain boots are another exciting spring addition that kids get really excited about. And of course, they’re easy to fill with other goodies! There are so many options for rain boots, so think outside the box! My son was obsessed with his Thomas rain boots until they just couldn’t fit him anymore. There are also adorable Mickey Mouse options, Minnie Mouse options, and of course dozens of fun kid patterns. This is an Easter basket idea you can use year after year! If your baby is ready for her own baby, then nothing beats a baby crib as an alternative Easter basket idea! Nothing is cuter than watching your daughter or son put their own baby to bed, so this is a really fun addition to have around the house. And believe it or not, they’re really not that expensive, so this isn’t going to break the bank (this one is only $25). Sand buckets are another really fun and easy Easter basket option and best of all, they can be really cheap. If you go the sand bucket route, you can fill your bucket with other fun beach accessories like towels, sunglasses, flip-flops, and beach toys! It’s a really fun theme to play around with for Easter because the sun is finally starting to come out and summer is right around the corner! 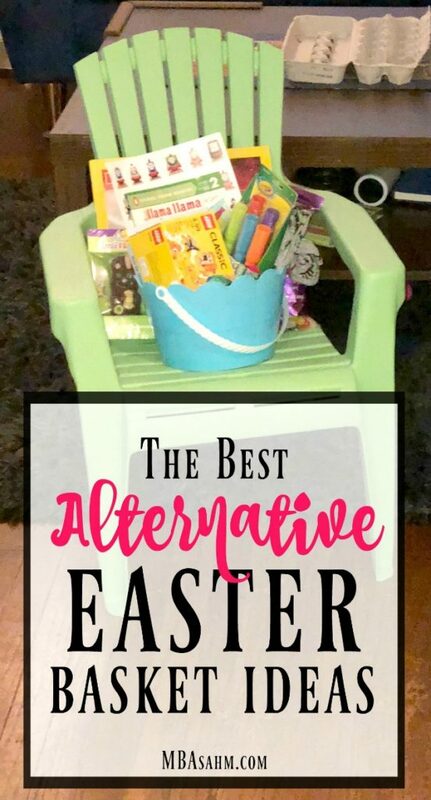 If your daughter or son loves their little babies, then a little baby stroller is an adorable Easter basket alternative! Baby strollers are great because they will be used for years and years. And they can start walking alongside you when you are outside! This is a pricey option, but holy moly, these Pottery Barn chairs are so, so, so adorable! If you are considering buying one of these anyways, then this could be a great opportunity to make the purchase. Little kids loving sitting in their own miniature chairs, so you will definitely get use out of this and they really are adorable. And best of all, you can have them personalized with your child’s name! 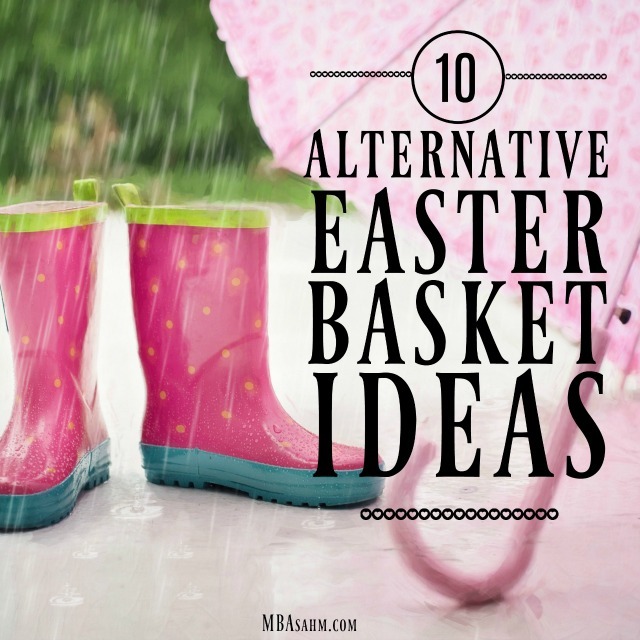 I hope these alternative Easter basket ideas are helpful! Please let me know if you’ve got your own ideas. Nothing is better than finding a practical alternative to use in place of yet another basket. 😉 Happy Easter!